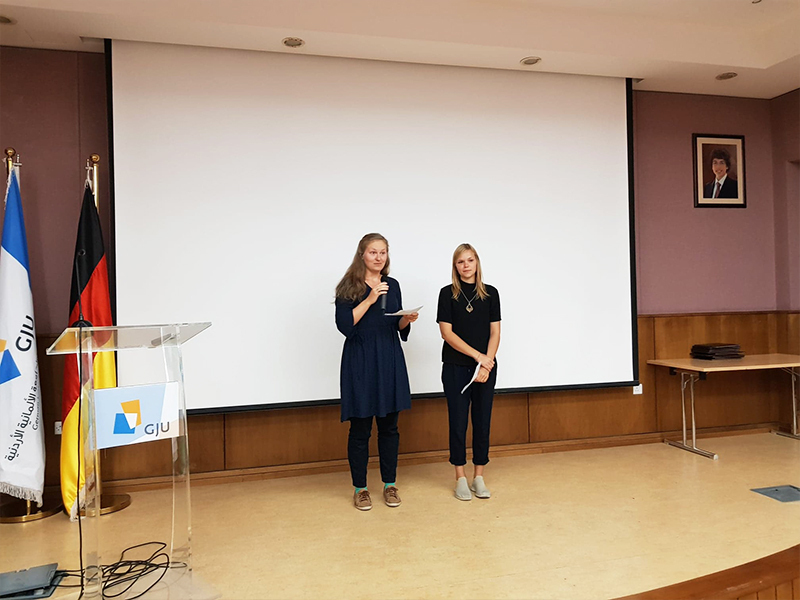 On Sunday 23rd of September 2018, the Consultation and Training Center (CTC), at the German Jordanian University, graduated the ALC students- summer camp who joined three weeks ago and welcomed a new batch to the ALC main course, which lasts for a whole semester. The president of GJU, Prof. Manar Fayyad wished all the best to the graduates hoping that they formed good memories with the CTC’s team and the people of Jordan, encouraging them to share these memories and experience with their friends and families. 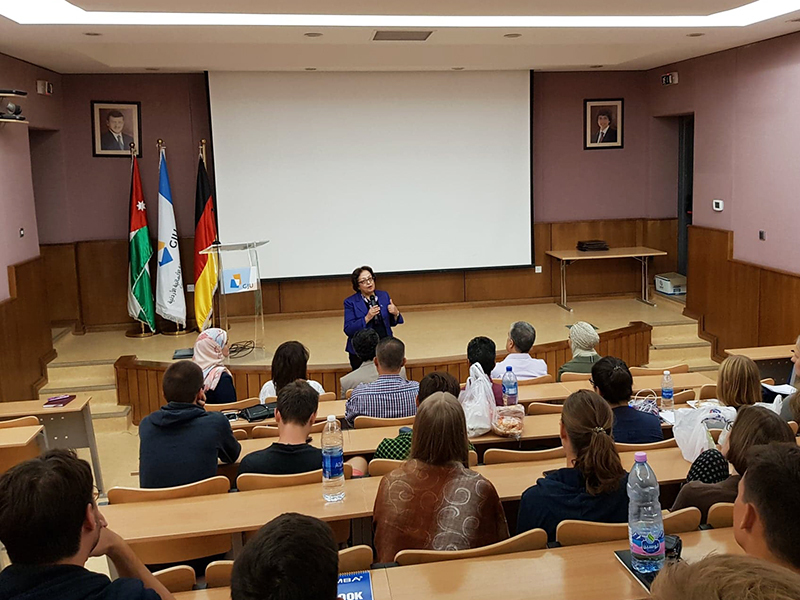 As for the newcomers, she assured them that they would benefit from the program in learning the Arabic language and the culture, urging them to blend with GJU’s students and explore as much as they can, announcing that next week a 90 exchange students are joining the university to study not only Arabic language but also some specialties. The CTC Director, Dr. Abdullah Abdulla expressed his happiness to witness the passion of the students to learn about other languages and culture adding that such experience opens new horizons and improves one's personality. In addition, the CTC’s team were introduced to the new students besides the extracurricular activities coordinator and the GJU doctor who explained the terms and the process of the medical insurance during their stay. 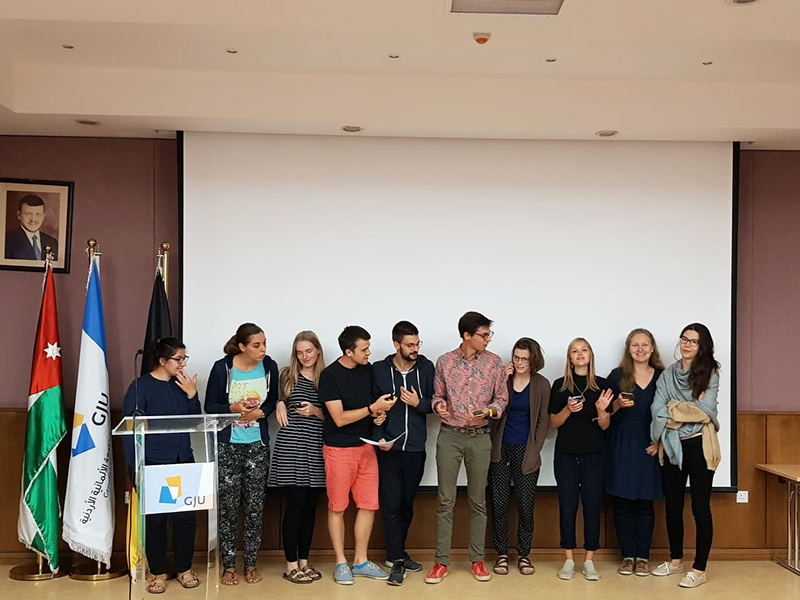 During the gathering, graduates and new students had the chance to introduce themselves to each other, where the graduates spoke about the time they spent in Jordan and the value they received from joining the program. Two graduates, Lisa and Annaliese gave speeches on behalf of their colleagues, where they displayed their Arabic language skills. The speeches were a mixture of Fusha and Amiya and they concluded it with some poetry for Hatem al-Taei, where another group performed an Arabic song. At the end of the gathering Fayyad handed the certificates to the graduates.